From the beginning of the nineteenth Century, Baida was a barony comprising a vast woodland zone, its main activity being livestock rearing and hunting. At the centre of the estate was the so-called castle, a fortified structure with a central court yard, situated on high ground. 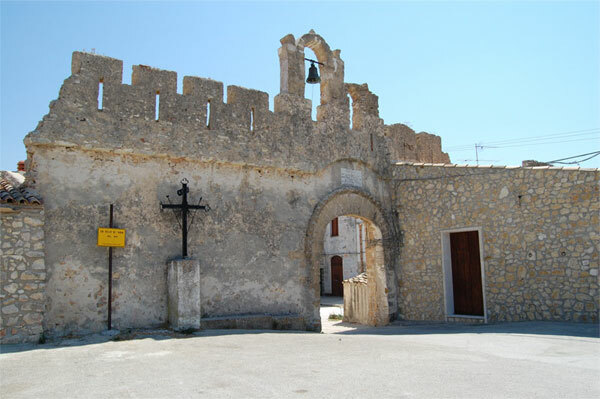 Presumably built around the end of the XIII Century and later enlarged it conserves few traces of the ancient structure: ruins of towers, parts of walls, a small church and a beautiful depressed arched doorway with diamond shaped arched ashlars, with, on top a small bell gable. A Latin inscription remembers the visit of Ferdinando III di Borbone.